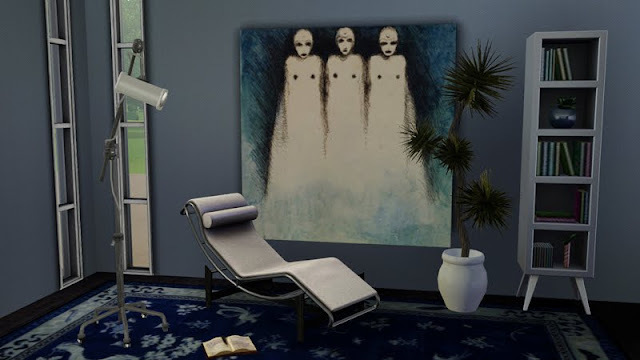 Seven paintings that seem unrelated, but are they? It is a common theme in art. Powerful images . . .
can stand on their own . . .
in just about any setting. to allow for more than one image. it comes in both formats. 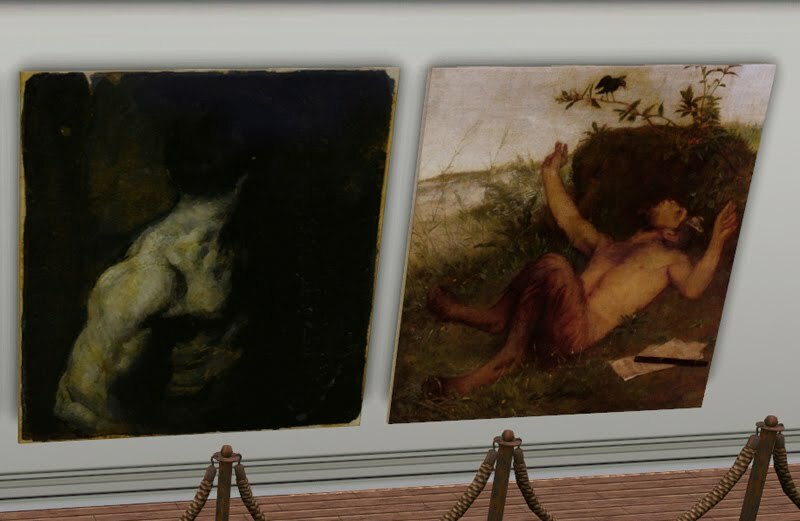 I really love this mesh and the worn edges on the paintings is perfection. 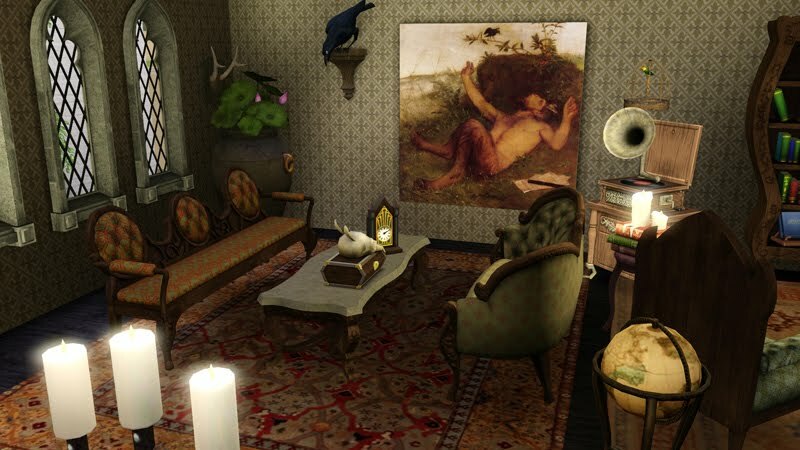 I loved your beautiful mesh so much, I don't know if you saw that I used it for some very large and lush Carl Sebastian prints over on my itty bitty blog. I just wanted to tell you how perfect and lovely the mesh is and how I'm constantly in awe of your creations. Boy oh boy, you have filled my download folder with rugs too, sir. Some of those flowers look simultaneously natural and familiar and yet very alien life-form or landscape, don't you think? Maybe it's just me, haha. 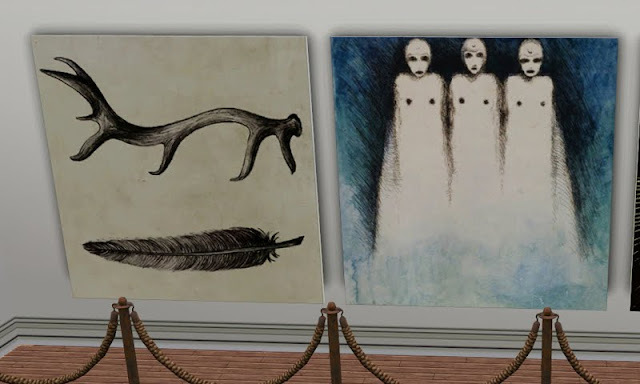 I spent a LOT of time with each of those "ladies" over the past few months trying to find the mesh just right for them. I'm flattered you have my Bella Dos Santos prints. I like the space you used them in though, the cool tile and sort of lemongrass hints, it's very spartan but far from sterile. 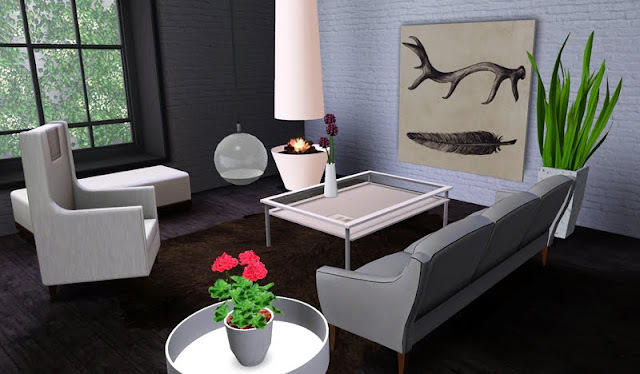 I've got a new project in mind using those Exotic Elements wall-hangings from your collaboration project...the shading and shaping you did on your overlays is a bear to replicate though lol. I can see why you were grateful that she used the same mapping when she reworked them. Are you still at LivingSims? PM me over there and I will give you a couple of tips on how I did that set. I am not sure what graphics program you use - I use Photoshop - but most graphic programs will allow you to use layers in some capacity . . . . I'd just like to let you know that other variation of this painting than the first one cannot be selected in game. When clicked it and entered in CAS mode, a message "The current style is invalid. Please select a new style before continuing" popped out. I think you have to enable at least one pattern channel to make them work. I know you could select all variations when this painting was released. I'm not sure but maybe game system has changed at any point in time. Thanks for noticing! I just used this file in a screen shot and never even paid attention to that - thought I did notice the wall shadow is a bit wonky. I have remade this mesh and will attend to it as time permits. Opening the original workshop file, a pattern was never assigned. It was corrected on early rugs, but I guess not on the paintings. I need to look at these very early files and make sure they are corrected where necessary. Thanks! Don't blame me . . . blame the booty.